As the head executive leader in the Royal Colony of Georgia, James Wright had many responsibilities, one of which was maintaining peaceful relations with the native population. 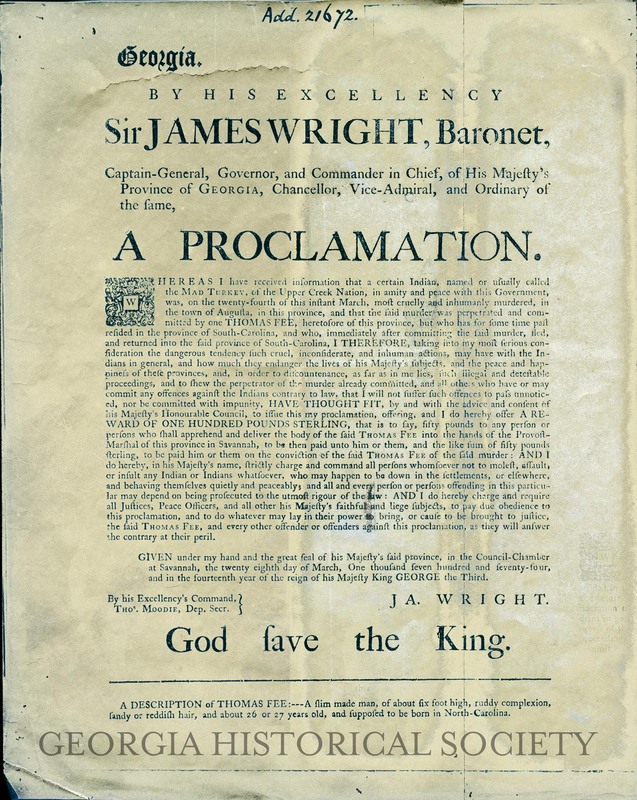 The March 28, 1774, proclamation given by James Wright offers a glimpse into the office of Royal Governor, the daily life issues of the colony, and the situation in Georgia just before the American Revolution. A Proclamation by James Wright Issued March 28, 1774. From the James Wright Papers, MS 884. Georgia Historical Society.